Whether you have an academic essay or dissertation, a 100-word executive summary, a 10-page business plan or 100,000-word novel manuscript, Supaproofread will help you produce a document that is free from spelling and grammar mistakes as well as typographical errors. This will maximise your chances of success and ensure that any mistakes don't sell you short – we specialise in online proofreading and editing services. 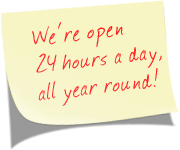 You can submit your document online with complete confidence, have it thoroughly proofread and edited by a professional editor, and quickly returned to you – all at the mere touch of a button, and even when you're sleeping at 2am – we're open for online submissions 24 hours a day! We can assist all types of document producers in all subjects and categories, from the largest publishing houses and corporate clients to academic university students/professors and manuscript writers – we provide professional online editing and proofreading services that are second to none. Our professional online editors and proofreaders will revise your work to the point where it is error-free, clear and publishable – quickly, easily and confidentially. Your writing must be perfect because your reputation is on the line. You've researched and written an article that's due to be submitted for publication to a scholarly journal, so you want it to be checked by a professional. The editing team at Supaproofread have many years of experience editing and reviewing manuscripts before they're sent off for submission. Whether you're publishing an article for the first time, you've been rejected for poor grammar, English isn't your first language and you're required to submit the paper to an English journal, or even if you're just not sure about the organization and flow, one of our editors can help you. Click here to read more about our research paper editing services for academics. Do you need to have your essays proofread, edited and checked for style, formatting and flow? We offer proofreading & editing for essays and dissertation editing and proofreading services to academic college and university students. You may even require assistance with a college admissions essay or a personal statement application for university. Our professional editorial team is on hand to offer help with editing and proofreading your academic documents. Click here to see how Supaproofread can improve your academic papers. Your written material will probably be important to you if English is your second (or additional) language, as you want to make the right impression. A professional ESL editor can check your work to ensure that it says what you want it to and doesn’t confuse the reader. Writing in a foreign language is difficult and it is even harder to spot those crucial mistakes that you have made; this may include incorrect verb tense, incorrectly structuring your paragraphs or having to rewrite entire paragraphs. This is where a professional service that will edit your English is important. Visit this page if you want help with your written English. Do you have business documents that have to be proofread and edited? We offer professional business proofreading and editing services for your press releases, training manuals, business reports, website content, legal documents and much more. The documents that your business produces put forward a first impression to prospective clients. Let us help you get your written materials in order. A professional proofreading service with a rapid turnaround makes good business sense. Our business editors will help you develop the materials for your organisation, show you how to avoid mistakes and ensure that your business literature is perfect. Click here to see how we can improve your business documents. Presenting your manuscript to a publisher that is free from any errors is imperative. After all, your credibility is at stake. Your manuscript represents work that has taken you a lot of time and effort to produce, so having an experienced writing professional copy edit your writing is a must. Sounds interesting? See how we can help improve your manuscript. Are you in need of a professional to proofread your online pages so the information you are displaying is correct and error-free? We offer a professional online proofreading service by our team of highly experienced online editors. Our knowledgeable website editors and proofreaders appreciate that every word on your website needs to be fully integrated into the site as a whole. We understand the need for faultless integration for your site's visitors. Visit this page to see how we can help improve the written content on your website.